OhGizmo! 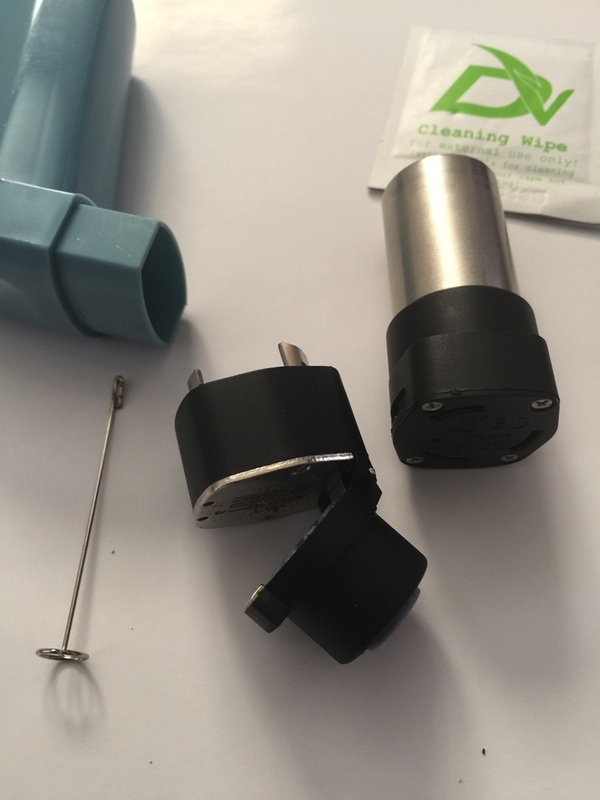 Review: The Puffit 2, A Discreet Personal Vaporizer | OhGizmo! By Carole Smith on 11/21/14 • Leave a comment! Continuing on our emerging column of vaporizer reviews, today we’ll be taking a look at the Puffit 2. 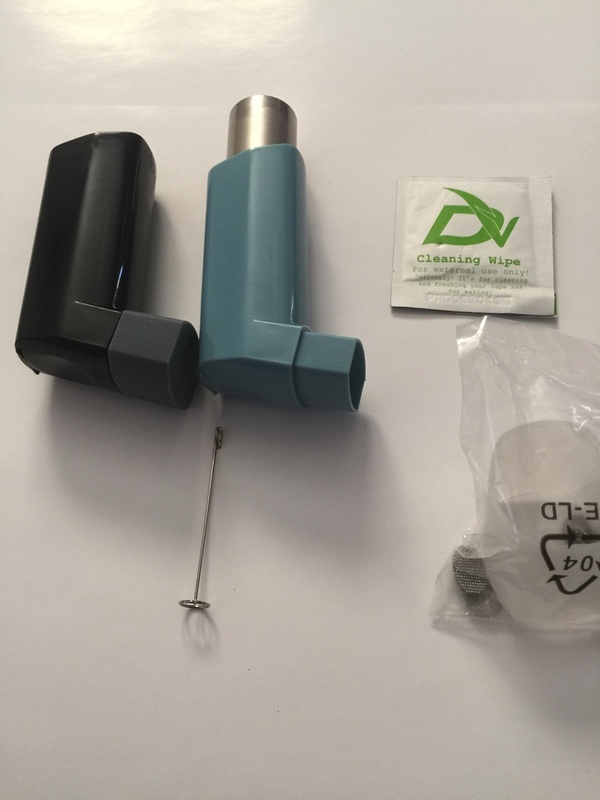 It’s a personal vaporizer made to look like an asthma inhaler, in the hopes that your vaping experience will be more discreet and private. The Puffit 2 is meant for stealth vaping, when it’s socially inappropriate to light up and when other vaporizers might give you away. 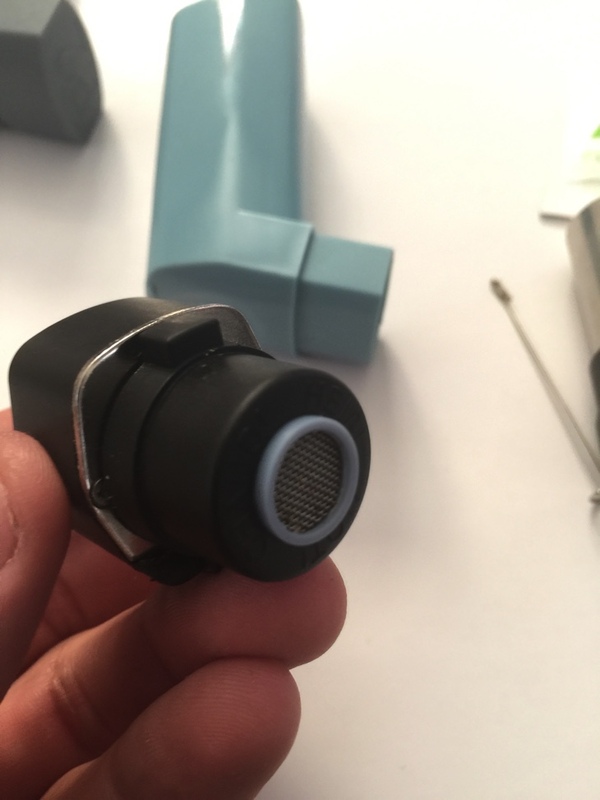 It’s the second generation Puffit, with our first review right here. We’ve been playing around with it for the past couple of weeks, and we’ll give you our impressions in this article. But up here in the first paragraph, what’s the quick verdict: so much better! 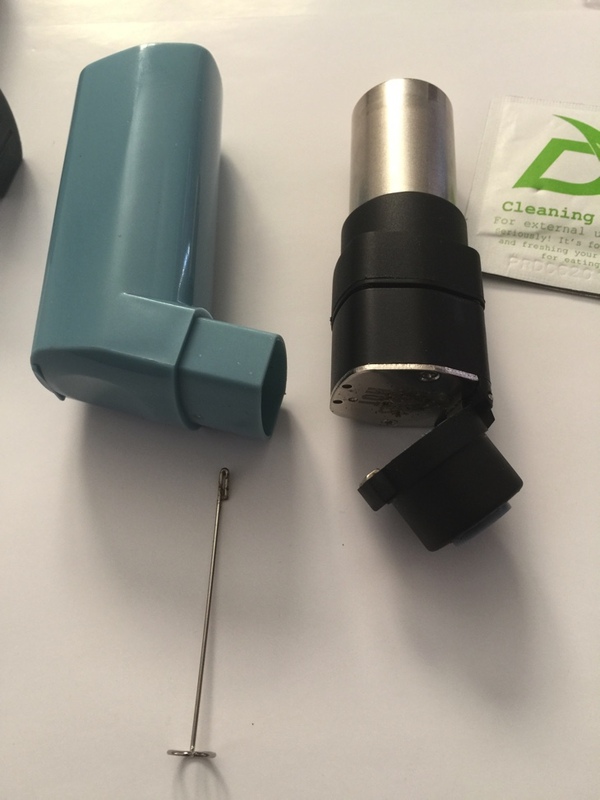 The Puffit 2 is 20% smaller than the Puffit 1, and is now legitimately the size of an actual asthma inhaler. It’s got a new modular design, which allows for a lot of added functionality. For one, the inner core is removable, which lets you change the outer shell at will. The company is experimenting with the release of customizable shell design options for it, but for now it’s just black or blue. But the modular aspect of the device doesn’t end there. The inner core separates into two elements, the battery and the heating chamber. Not only does the new battery have 75% more capacity than the previous, it being detachable means you can carry a spare one with you (sold separately) and keep on vaping even when the first runs out. Adding to the benefits of modularity, there are plans to release an inexpensive (~$20) e-juice module, which will let you use the Puffit 2 with the nicotine ‘juices’ that you’re seeing in vape shops all over the place (really just propylene glycol with flavours and nicotine). 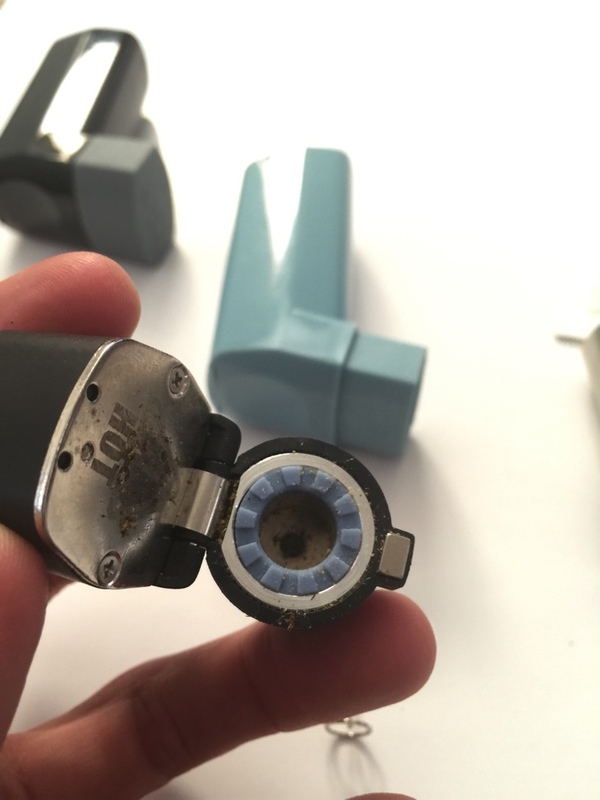 There are even plans for a concentrate module that will better vaporize those than the standard heating chamber currently found on the device, and for a glass adapter that will let you use the Puffit 2 with a water bong. Now, the build of the inner core feels solid, and the two pieces lock together solidly. This inspires confidence in the device’s craftsmanship and durability. The heating chamber itself has been redesigned for more functionality and performance. While it has the ability to handle concentrates, as mentioned, it’s still more of a dry herb vaporizer. (We didn’t test concentrates so we won’t be making any comments on its performance in that arena) It has a hinged opening, held shut with a strong magnet. There’s a hole with a metal screen at the bottom, through which your vapours escape on their way to your lungs. Getting material in and out of it is simple and easy. A new alloy on the chamber makes for better conductivity, so that does mean this is a conductive vaporizer (as opposed to a convective one). As such, you will get better results by really packing the chamber so that more material makes contact with the walls. The volume of the chamber however is fairly small, maybe 1cc or 2cc, so you won’t be using that much herbs in each session. There’s a temperature setting button on the front of the heating chamber, with small LEDs indicating the current temp. You can use that to check the battery level as well, but the nice thing is that once the inner core is inserted in the shell, you don’t see the lights at all, which adds to its stealthiness. Even more impressive is the new haptic feedback system. In other words, the darn thing vibrates to indicate you what’s going on, rather than flashing some conspicuous LEDs, alerting the world that your asthma inhaler might be something else. It’s a very cool idea and works really well. So how does it work? Really well, actually! You start a session by filling the heating chamber with dry herbs, packed tightly. You then insert the core into the shell and press down for a few seconds. It will vibrate to indicate it’s starting the process, then do a “heartbeat” double vibrate every few seconds to indicate that it’s still heating. When it’s reached the target them, you’ll feel two long vibrations and you’re ready to take a hit. For that, simply breathe in through the mouthpiece as you would an asthma inhaler. Know that the first cycle doesn’t seem to produce much vapour. However if you wait 12 seconds, you can press the core again and start a new heating round. The heating process won’t last as long, since the chamber will already be at temp, but by the end of the second heating cycle, you start seeing good vapour come out. This vapour isn’t super thick, however it is very, very efficacious. The extraction process seems to be efficient, managing to achieve its effects with no trouble. Better still, the flavour is great. After about three or four cycles, you should open up the chamber and stir the herbs with the included metal stick. You can then keep going for about four more cycles before you start tasting the herbs being a little toasted. You can do a final stir and you’ll still get some effect for a couple more cycles, but after the 10th or 12th cycle, you’re reaching the end of the line. The battery seems to last for about 50 cycles after a full charge, which is enough to fill up and empty the chamber about 4 times. And even when the battery is running low, it still reaches full temp and you get the full effect. 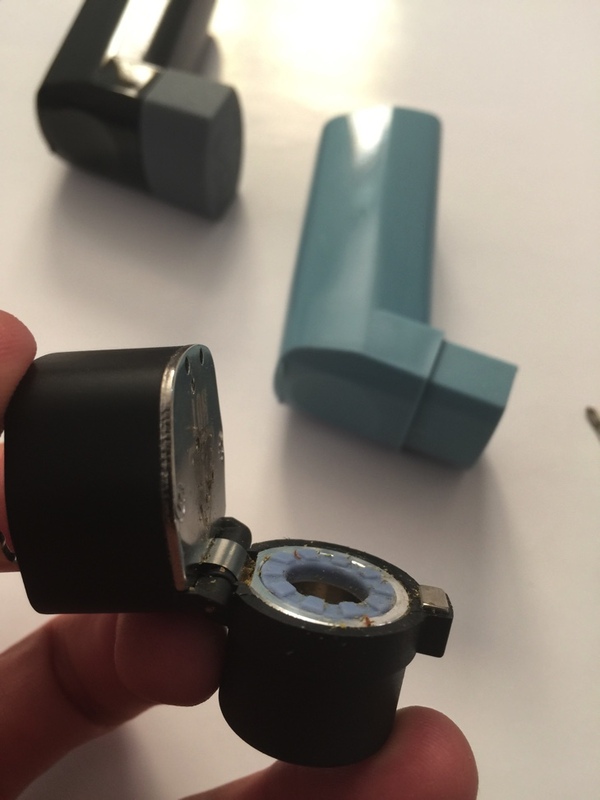 All in all, we have to say we’re really impressed with the Puffit 2, and the improvements that have been made. It’s smaller, has a better and longer lasting battery, it’s modular (which allows for tons of extra functionality), it’s got haptic feedback, it’s super discreet… What’s not to like? For $99, you get a very convenient and portable device that lets you smoke up just about anywhere. It works well, and has the potential to expand and become even more useful is all kinds of different settings. From OhGizmo, it gets two thumbs up.